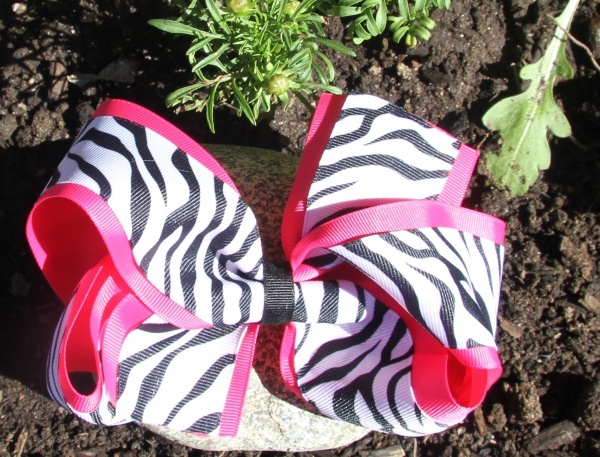 Zebra Lovers you have to get this bow! This is a double layered bow with Shocking Pink 2.25" grosgrain on the bottom and 1.5" zebra print grosgrain on the top Hot pink and zebra. The middle is wrapped with a black 3/8" grosgrain ribbon and it is attached to a French clip. Zebra print and pink all together in one awesome bow!